A great sales season for Pour Moi was headlined at Tattersalls this week by a filly who changed hands for 350,000gns to John Warren, a big fan of the first-crop Coolmore sire. Warren dug deep to see off Hannah Wall of Qatar Racing to collect the filly, who is closely related to another brilliant Derby winner in Camelot. “The filly is an outstanding physical specimen and Pour Moi is getting some marvellous stock,” said Warren. 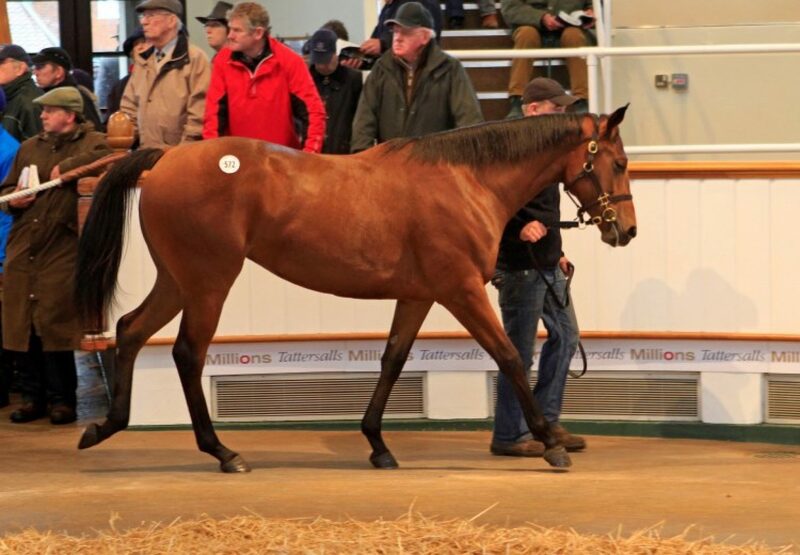 The filly was bred by the Elite Racing Club and sold from Oak Lodge and Springfield House Studs. Pour Moi, a brilliant winner of the 2011 Derby, has earned plenty of plaudits for his first-crop yearlings. In Book 1 of the Tattersalls October Sale, Bertrand Le Metayer paid 250,000gns for a Pour Moi filly and other prices this autumn included 210,000gns (M V Magnier), €200,000 (Badgers Bloodstock), €170,000 (M V Magnier), 160,000gns (John Warren), 155,000gns (Blandford Bloodstock), 135,000gns (Jamie Lloyd/Marco Botti) etc.